For a limited time, we are offering the paperback book and Audio book together for a sale price of $25. In 1995 Mary C. Earle was hospitalized with acute pancreatitis. Like others who suffer from serious or chronic conditions, she found that living with illness requires major adjustments in life. 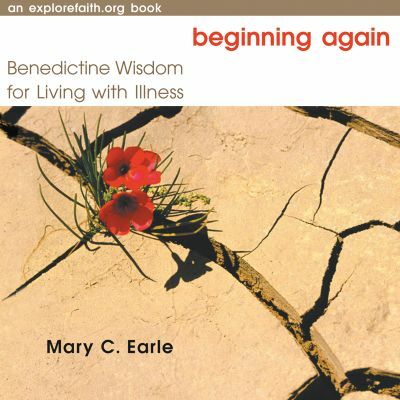 Using St. Benedict’s ancient Rule – his way of ordering the life and days of religious communities – Earle explores how the concepts of stability, obedience, and conversion can help anyone live with illness. SKU: Book/CD Set. Categories: Audio Books, Books, Mary C. Earle. Tags: Audio Book, Beginning Again, Benedictine, Mary C. Earle.